Kinnektor is proud to announce itself as a registered 501c3, effective October, 2018. 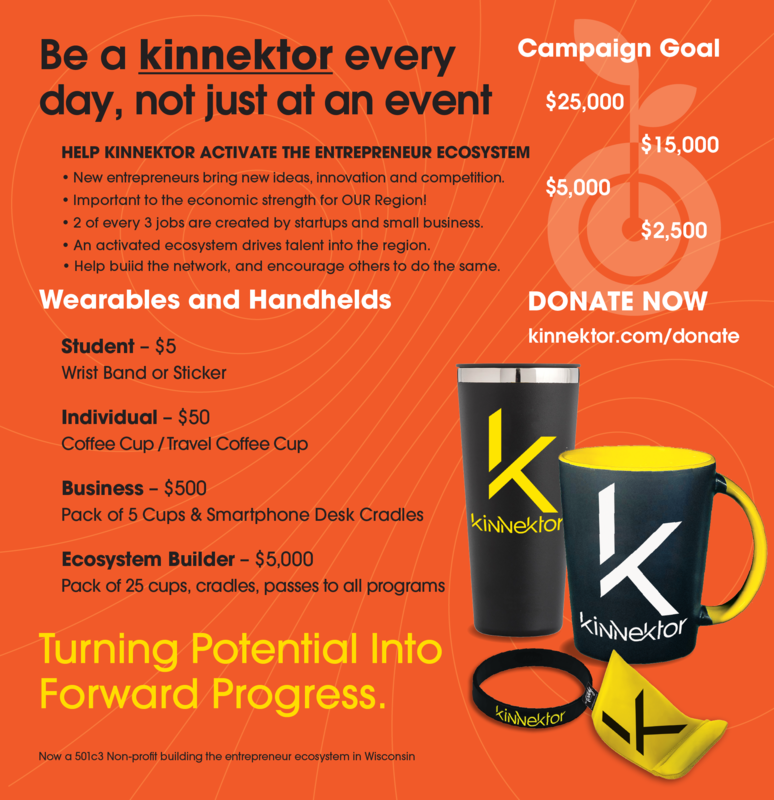 Kinnektor has a three part fundraising cycle that supports Kinnektor mission and initiatives. We are raising funds at this time for monthly programming in the beginning of 2019. Funds cover program and operational costs for these programmed events. In 2018 kinnektor produced six monthly events that provided educational content on investment readiness, and pitch presentations along eight core vectors of building a new business. Each meeting had a discussion panel with experts and included food and drink at NO-COST to participants. It was a very successful launch. We want to improve on this program and continue to offer it with no barrier to entry. Kinnektor is participating in #GivingTuesday. This is a global day of giving that harnesses the collective power of individuals, communities and organizations to encourage philanthropy and to celebrate generosity worldwide. Following Thanksgiving and the widely recognized shopping events Black Friday and Cyber Monday, this year’s #GivingTuesday will take place on November 27th and will kick off the giving season by inspiring people to collaborate and give back. Help support our initiatives that advance entrepreneurship, innovation, talent and community.